President Barack Obama says he views marijuana as a "bad habit" and "a vice" but no more dangerous than alcohol. The president acknowledged marijuana is less dangerous than alcohol “in terms of its impact on the individual consumer." Obama's support of legalization was welcomed by pot advocates. “The first step to improving our nation’s marijuana policy is admitting that marijuana is less harmful than alcohol," Mason Tvert, director of the Marijuana Policy Project, said in a statement. "Now that he has recognized that laws jailing adults for using marijuana are inappropriate, it is time to amend for those errors and adopt a more fact-based marijuana policy." · Obama doesn't have a son. But if he did, he said he "would not let my son play pro football." He then compared concussion-prone football players to boxers and smokers: They all know the dangers. 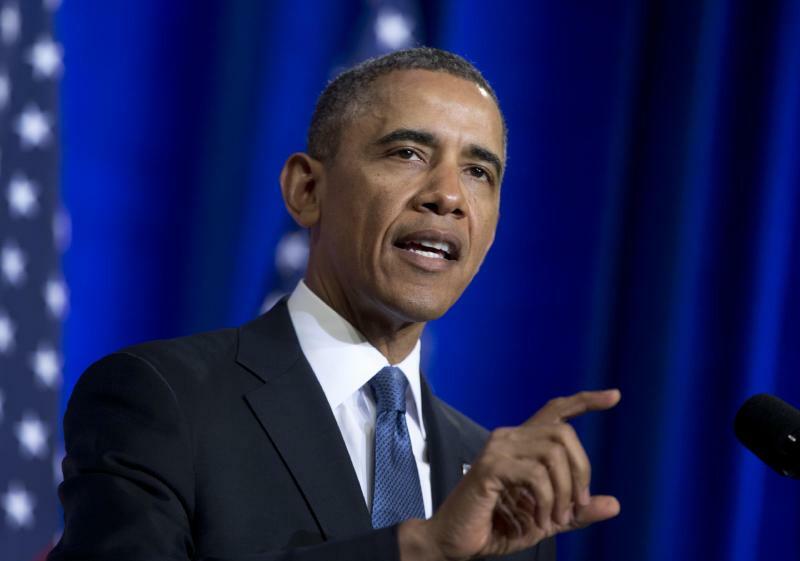 "At this point, there’s a little bit of caveat emptor," Obama said. "These guys, they know what they’re doing. They know what they’re buying into. It is no longer a secret. It’s sort of the feeling I have about smokers." · Obama on losing some older white voters in the 2012 election: “There’s no doubt that there’s some folks who just really dislike me because they don’t like the idea of a black president. Now, the flip side of it is there are some black folks and maybe some white folks who really like me and give me the benefit of the doubt precisely because I’m a black president." · The president says he doesn't watch "Meet The Press," "Reliable Sources" or any of the Sunday political talk shows, for that matter. “I don’t watch Sunday-morning shows," Obama said. "That’s been a well-established rule." He usually spends them with his family or plays basketball.